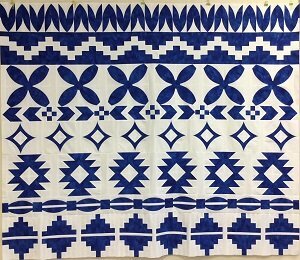 Sew Kind of Wonderful has introduced a row of the month quilt called Sedona that utilizes the Mini Quick Curve ruler, as well as straight piecing. We will be offering the variation called "Sedona Trails", a 2-color quilt. Click here for the Sedona Row of the Month supply sheet.